If you are using ASPMAKER by HKVSTORE to build web admin interfaces, and you’ve arrived at this page, it’s likely because the Image Resizer ASP.NET add-on is not working for you. see this screenshot: Here is the solution to the issue. You need to have a HOSTS file entry on the server that will allow the server to resolve the domain name for the website you are using ASPMAKER and the Image Resizer on. 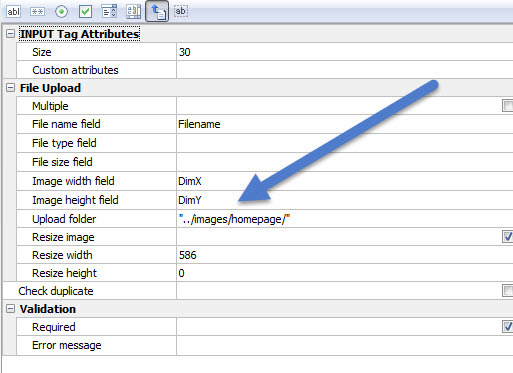 This is because the ASP.NET resizer uses MSXML2.ServerXMLHTTP to locally fetch and resize the image. If there is no HOSTS file entry on the local server, there is no way for the resizer to work. set the permissions properly on the /upload-temp/ folder. this means adding machinename\IUSR and granting full control. Inside ASPMAKER, make sure the destination folder is correct. Note I had to use “../” to get ASPMAKER to upload to the correct path off the root. It is NOT necessary to grant this folder any special permissions. 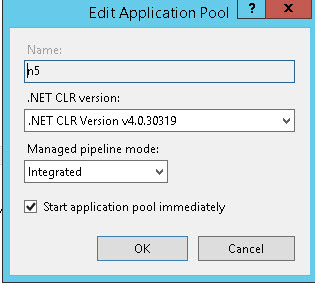 Make sure the base site itself has a valid application pool assigned. Here’s what mine looks like (It is not necessary to have an application for the subdirectory where the ASPMAKER app). 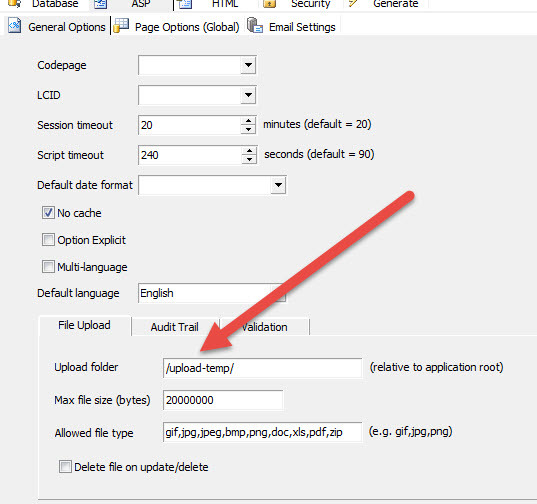 Adjust the maximum file upload size in ASP. ASP->Limits Properties ->Maximum Requesting Entity Body Limit. The default value is 200,000 (200000) which is 200,000 bytes. I upped mine to 20,000,000 (leave out the commas here). Launch the ASPMAKER web admin and try uploading an image. The above should take care of all the issues. Let me know if this saves you a headache! During the process of migrating a site to IIS 7 we came across an issue with Classic ASP file uploads throwing 500 errors when larger than 200kb. There is an EASY fix for this. Click the APPLY button. That’s it!